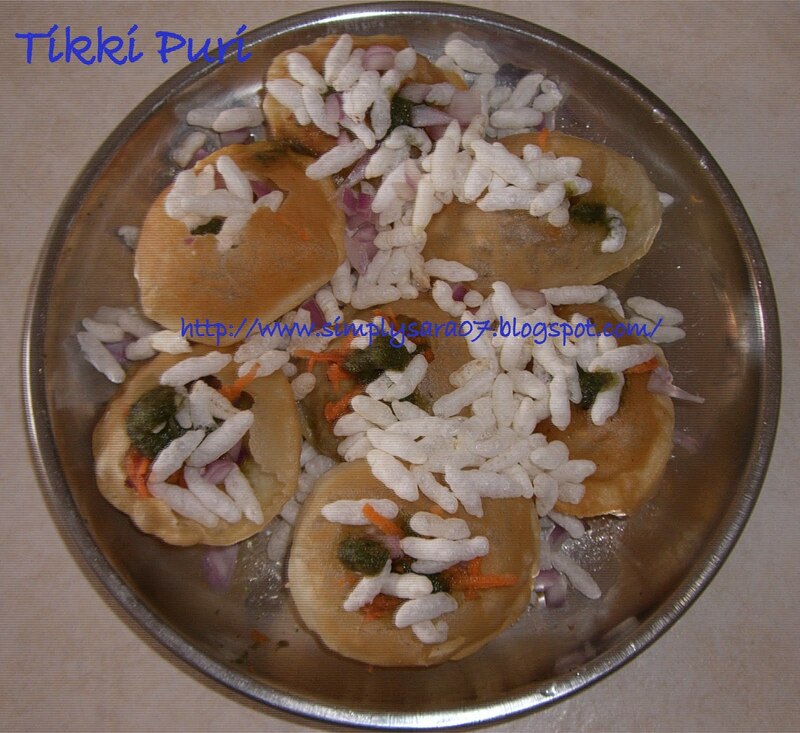 Tikki Puri is one of the famous evening chaats. I used to eat a lot on Street side(Road side shops) in Bangalore. This is very tasty and tangy. Place all the Puris on a plate. Gently press in the centre and make hole. Now add all the ingredients one by one in it. Finally garnish with Puffed Rice and Mixture. 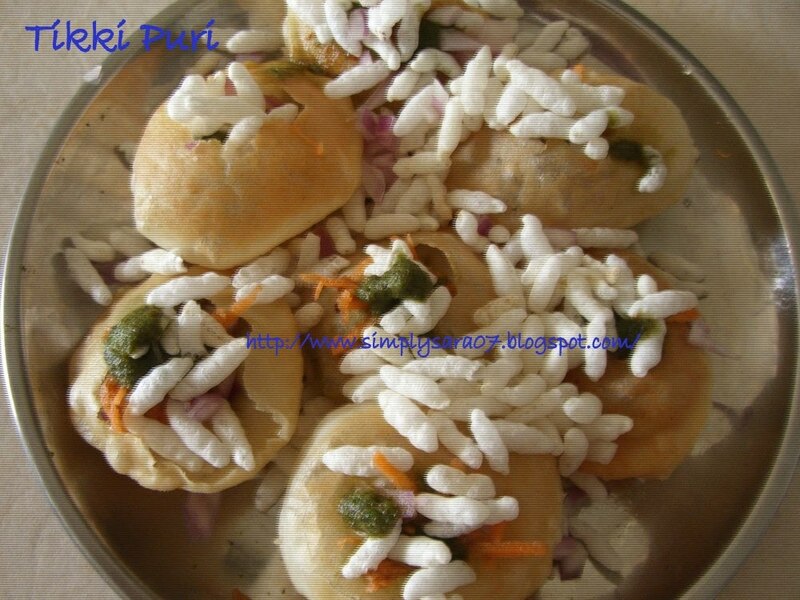 poori tikki looks yummy! !...very interesting too! Tempting tikki puri, looks very delicious! looks nice and yum you can visit my blog and give ur comments. One of my fav chats...Really miss it a lot..
saras, it looks gud..had this chat...and had nice weekend ah?